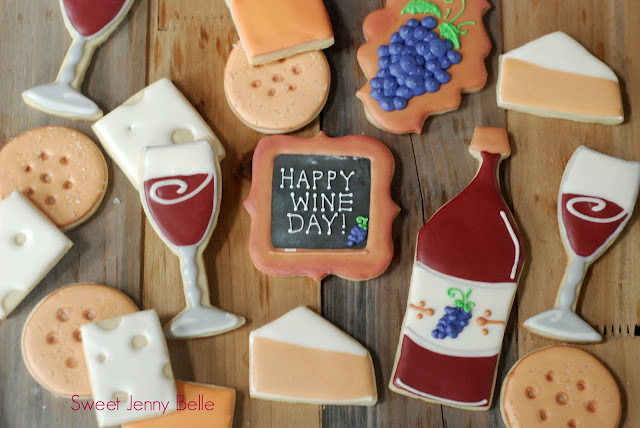 Did you know today is National Wine Day? A perfect excuse to break open your favorite bottle and enjoy a glass tonight. Or you know, if you are like me, today may not be too different. I love a glass of Pinot at dinner with some cheese and crackers. I thought it would be fun to recreate one of my favorite treats as cookies. Wouldn't these be perfect for an engagement party or a girl's night out? In this video tutorial I will show you how to easily create a salted cracker, chunks of cheddar and Swiss, a slice of brie and wine glass. All of these decorated cookies were frosted with flood level consistency royal icing and using my favorite tipless bags. 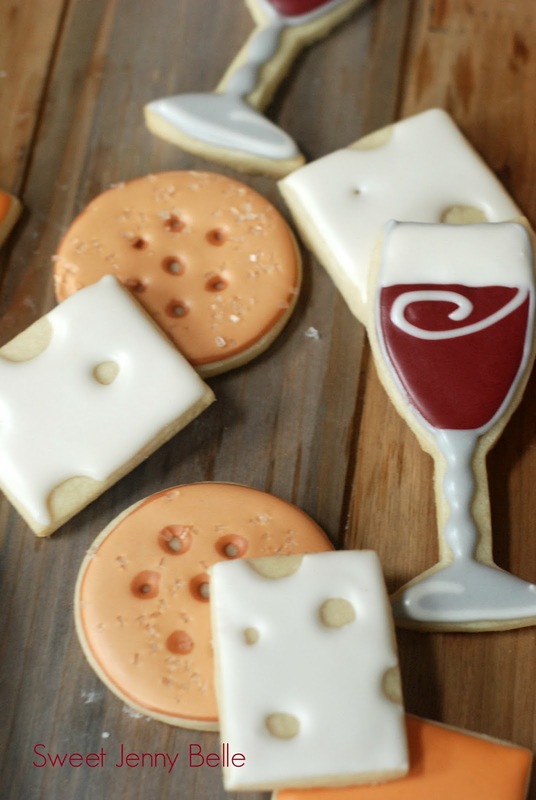 The only cookie cutters you need are: small round, small rectangle and a wine glass. If you didn't have a wine glass, you could also use a basic shape and ice in the design. 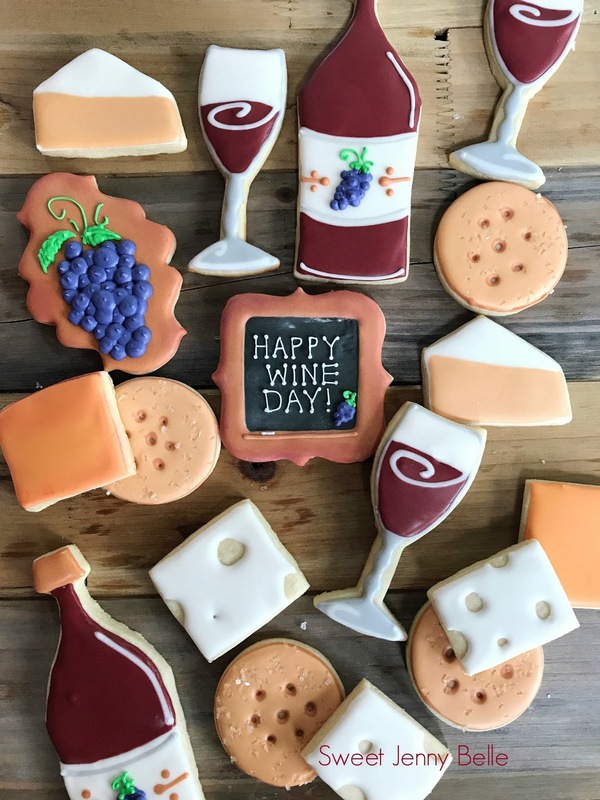 To help celebrate National Wine Day, I have a quick giveaway below for two of my new favorite drink books, The Periodic Table of Wine and The Periodic Table of Cocktails. These books are awesome for learning more about drinks and how to create the most delicious libations. I think you will love having them in your cookbook collection. 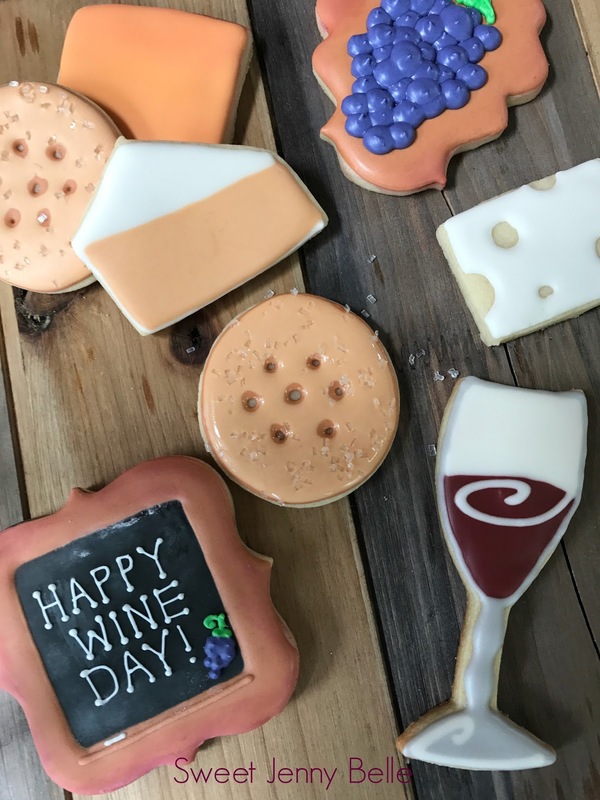 If you have any questions about how to frost the wine, cheese, and cracker cookies - please let me know! Salted cracker - round cutter, dark brown flood icing, light brown flood icing and large sugar grains. This book giveaway is sponsored by ABRAMS Books, as part of the ABRAMS Dinner Party.